Like the male gaze, football fans have eyes for just one thing. Nothing can turn them away from the pitch. 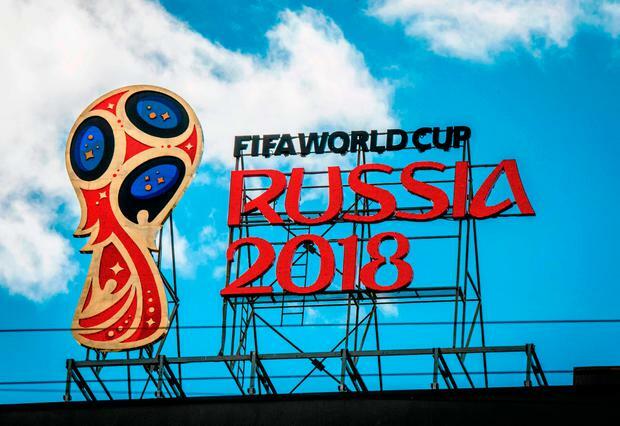 When Fifa announced it was handing the World Cup first to kleptomaniac murderers who run Russia and then to the overseers of a serf economy in Qatar, even cynics thought Zurich’s masters of corruption had finally gone too far. Surely the world wouldn’t stand for it. Read the sporting press or examine your own conscience and you learn the world will not just stand for it but stand to attention and salute it. I am not claiming moral superiority. I will finish this righteous piece then purr over reports of how Marcus Rashford is coming into his prime at exactly the right moment. The looting of the Russian economy, the downing of civilian airliners, the murder of journalists, the sheer brazenness of Fifa’s decision to stage a World Cup in a country that has invaded and occupied another country are powerful arguments to boycott the circus. But their power is nothing before the power of the fans’ gaze that fixes your eyes on your team. It’s not that politics and sport don’t mix – Putin wants the World Cup to boost his political prestige, Qatar wants to get one up on Saudi Arabia. Rather, fans and politics are the hopeless combination. The battle is always unequal. If you wonder how you would have reacted to Hitler’s 1936 Olympics, look at how you are reacting to Putin’s 2018 World Cup and learn something about yourself and the nature of sport. Eamonn Sweeney All the tradition, fashion, ceremony and memories of Audrey Hepburn in a bonnet sometimes make it easy to forget what an outstanding event Royal Ascot is from a purely sporting perspective.